Western Whitetail was founded in 2011 by Darren Choate to provide hunters with quality content about the sub-species of White-tailed deer found in the West including, Carmen Mountain, Columbian, Coues, Dakota, Northwest and Texas. In 2015, two new brands were added, Whitetail Territory and Western Big Game Hunting. 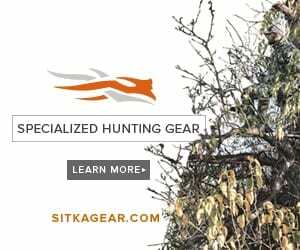 Now, all three brands have been incorporated into Western Whitetail to provide comprehensive, informative, and entertaining content for those hunters who love to hunt the West, and for those that are passionate about hunting Whitetail. Simply put, Western Whitetail is about Western Hunting and Whitetail Hunting. Choate is now the Editor In Chief of the three digital brands. Founder and Editor In Chief of Western Whitetail, Darren Choate, with his recent trophy Coues buck (pictured with son, Colton).